As Rebecca Baron, MD, crossed the strings of her 1800s French cello with a bow made in Chicago, her hometown, she glanced up to see the bride clasp the groom’s cheek and pull him in for a kiss–their first as husband and wife. It was the first wedding ever witnessed in the Family Waiting Room at Brigham and Women’s Hospital in Boston, and Dr. Baron was part of a team of medical staff, family, and friends who rallied to help the couple wed before mesothelioma took the groom’s life in 2001. 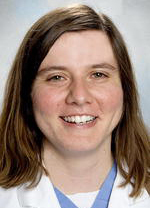 “Of all the things that I do, playing music is one of the most important and gratifying for me,” says Dr. Baron, director of the new BWH Pulmonary Fellowship Program, assistant professor of medicine at Harvard Medical School, and associate physician at the hospital, where she spends eight weeks in the ICU. In addition to participating in the development of the first MICU registry at BWH for the collection of patient samples to be used in translational research, Dr. Baron co-developed the hospital’s protocol for optimal titration of ventilator settings in patients with ARDS as part of her project entitled “Best Positive End Expiratory Pressure (PEEP),” which was presented as part of a postgraduate course at the ATS International Conference. Having earned her medical degree and completed her chief residency and fellowship at BWH and Harvard in 2002 with honors, Dr. Baron counts ATS members Dr. Choi, then at Harvard, and Mark A. Perrella, MD, among her mentors.